Last week I announced that we will be getting the top of the line sauna at EarthFT LI which will have far infrared, mid infrared and near infrared as well as medical grade chromotherapy and no electromagnetic frequencies. I will explain what the latter is in another post. The response has been amazing and people are more excited about it than I thought they would have been. Truth be told, after doing a ton of research I was happy to purchase the sauna even if no one was interested but me. It turns out a TON of people are VERY interested and you will find out why below. I have also received a ton of questions about it and I will fill you in more as time goes on. In the mean time I figured I would share some info from my friend Bret who I would consider an expert on Saunas and the detox protocol that goes along with it that we will be implementing for those that want it. This should answer some questions I have received. See below. Here is some information on why Far Infrared Saunas are the most effective way to mobilize toxins. Also listed below are benefits of near and mid infrared. Dr. Dietrich Klinghardt, M.D., of Seattle: In one study performed by American researchers, the sweat of people using a conventional sauna was found to be 95 to 97% water while the sweat of those using an infrared thermal system was 80 to 85% water with the non-water portion principally cholesterol, fat-soluble toxins, toxic heavy metals (such as mercury and aluminum), sulfuric acid, sodium, ammonia and uric acid. This unusually high concentration of heavy metals and other fat-soluble toxins is not found in the sweat from normal exercise. Mercury is the most toxic element on earth, second only to plutonium. Hyperthermic detoxification using these saunas is not only uniquely helpful in removing fat-stored toxins from the body, but also as an adjunct to mercury removal. There are also some benefits to near and mid infrared that I will list below. 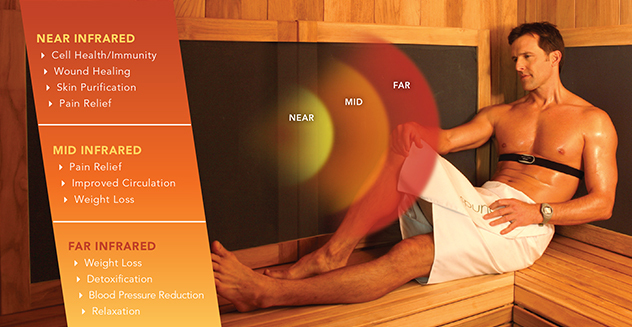 Far Infrared should be the foundation of any sauna. A full spectrum sauna would be ideal because it would have near, mi.d and far infrared. I have only found one brand that is truly full spectrum. I have found that many brands lie about that as well Message me Bret Bouer for more info. As you may already know from past newsletters/emails/articles that one of my favorite emotions is gratitude 🙂 It’s an unwritten law that what you focus on expands…and when you focus on what you are grateful for, you get more of what you are grateful for and then some. One of the most powerful things you can do to change your day is a daily dozen gratitude list. Check out this video to see something similar take action. It should put a smile on your face. P.P.S. We have a seminar coming in the near future that is going to BLOW YOUR MIND. This will raise the bar for any fitness program in the world and pieces of these “ninja tactics” will be revealed at the seminar. 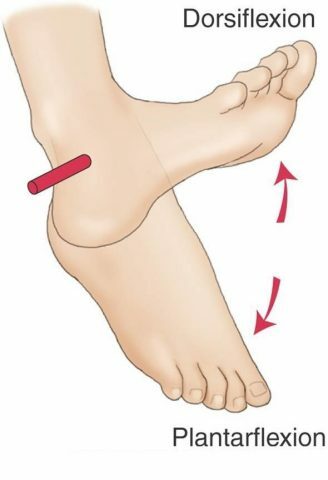 These simple yet powerful techniques can reduce pain, reduce stress, improve performance, improve strength, improve your digestive track, increase flexibility and mobility, assist in weight loss in a few minutes a day and that is just the tip of the ice berg! Plus we will be doing something I like to call a “paraworkout”. Be on on the look out for more details. You are not going to want to miss this one.